I have a dear friend who about this time every year begins gloating that not only does she have all her Christmas shopping done, she's made major headway wrapping everything, too. She is one crazy organized individual but perhaps with Halloween behind us, it really is time to start wrapping your brain around holiday gifts and trimmings. To aid you in your holiday gift planning, we're excited to announce that we've launched Spoonflower gift wrap! This new limited edition Spoonflower product is a lovely one, a heavy-weight, scratch-resistant, satiny paper that can be used to dress up a gift for someone very special or for assorted craft projects where a high-quality paper with a vibrant print is called for. In our experiments, we found that tape used on this paper doesn't pull the print up with it when the tape is removed, so Spoonflower gift wrap is also very reusable and won't begin to disintegrate when curious little people try to sneak a little peek or when you're traveling with your gifts. This week, we'll be selecting three lucky people to win a full roll (36 X 72 inches) of our new gift wrap printed with the Spoonflower marketplace design of their choice. To be entered into this drawing, just leave a comment here or on the corresponding Facebook post and do include your Spoonflower screen name so we can track you down easily if you're a winner. Entries close next Tuesday, 11/13 and we'll announce a winner on 11/14. Good luck to you all! This giveaway is now closed and a winner has been announced. The gift wrap is wonderful! My fingers are crossed. Bet it would be great for some decoupage projects too! Thanks for the chance. What a brilliant idea. There are so many wonder options! How fun would this be! Fingers crossed! Wonderful!! Can’t wait to try it out. Dear Spoonflower Team, please consider having this all the time, would be a big hit! Yes please! I would love a roll for crafting! Making a gift to my loved ones so much more special. This is soooo awesome! I have a fetish for cool wrapping paper and this is certainly my dream come true!!!!! wow, this is an excellent product idea! Way to go Spoonflower! You guys are certainly moving in great directions. Gift wrap… It’s like you we’re reading my mind! Oh shoot… Screen name is minelliott. Thanks! How fun! I would love a chance to win some beautiful wrapping paper! What an awesome idea! Oh I bet there will be some adorably wrapped gifts this Christmas! There are so many things to do with that wonderful paper!!! 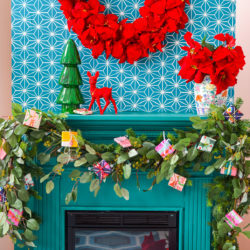 username – upcyclepatch – so many uses for wrapping paper – very exciting development. The joy of wrapping Christmas present made even MORE fun using my own of other designers decorative wrapping paper. Thanks SF for making me super creative! It would have to survive quite a lot if it travelled with me! Mostly I do the wrapping at the far end of the majority of the trip because it doesn’t help to do it fully in advance. Many wrapped things don’t even survive the last little bit of the journey. This opens up so many possibilities. I’m excited. I already know what design I want for my wrapping paper. Funny that you should announce this as I was telling the designer that her designs would make fabulous wrapping paper! Ooooh Gift Wrap! I’d love to try it! I hope this product sticks around after the holidays!! I can’t wait to try some and I see so many uses beyond christmas wrap :). Love it! Love it!! Love it!! Puncezilla on spoonflower. Waiting to see who wins this one feels like waiting for Santa…. I hope it’s me! I kept thinking how cool it would be if Spoonflower did wrapping paper! Love it love it love it. Would love to win some. How wonderfull it would be if I could wrap my homemade toys with wraps that are also my own design!!! Sweeeet!!! Oh boy – I can think of lots of things to do with this paper! Thanks for the give away! One small note, Dahbeedo… our wallpaper and wall decals are not vinyl. The wallpaper is actually a paper product, and the wall decals are polyester. They are both PVC-free. How cool is that?? I’d love to win this 🙂 Spoonflower name is Shannonmac! I hope this “temporary” product will stick around! Hmm not sure if my comment worked! Would LOVE this – sounds fantastic!! !!! Every time I turn around, you have come up with something new and amazing! This is fabulous! This is too fantastic! Thank you! I’d love to win this gift wrap giveaway! Wow! How cool. My username here is gnorasaurus. Thanks! I love clever gift wrap! Great contest! So cute! This would look great under my tree! Ooh, I want, I want! Year round would be awesome. I hope the sales are so great around the holidays they decide to keep it going. best ideas EVER!!! so fun. Fabulous idea! My username is quercusdesign. I would love this wrapping paper gift! What a cool idea, and how generous of Spoonflower to offer this prize! Please put me in! I love this wrapping paper, as well as this site! Super cool! I’m glad you are expanding into other territories than fabric (even though I love fabric!). Adorable! It would be so much more unique than target wrapping paper! I was so hoping you might offer gift wrap! Please enter me in the drawing. ooh, so cool! username: scherre. What a fantastic idea – you should really do this year around. This also makes a fabulous giveaway. 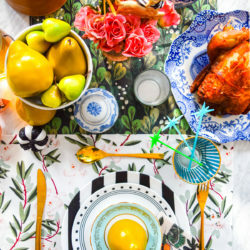 Love your fabrics and your blogs. Ooh fun! I hope I win! I’d love to win. Great idea! This wrapping paper would look super cute under my tree! I would love to win this!!! I am so excited you are offering this now!! Great idea! I’d love to win some beautiful gift wrap. What an awesome idea! Thanks for the chance to win. My user name is zer. Such a brilliant idea … and I love that it is such high-quality paper, and can withstand re-use!! Double Yay!!! I would LOVE to win giftwrap!!! This is excellent! Do want! My username is RikkaKoi. I love the prints used for the gift wraps… Are they also available as fabric? Oooh cool, pick me, pretty please. I already have presents waiting to be wrapped in it! What an awesome idea! My Spoonflower ID is deniseshoup. All marketplace designs on Spoonflower that are already for sale as fabrics are now also available as gift wrap, Jiskaverbouw, so yes, you can buy these designs printed on fabrics. How fun! I’d love to wrap some presents in this. So exciting! What a great product idea! What a great way to personalize the holidays! Haven’t seen my two granddaughters (ages 8 and soon to be 3) in a year and a half. They will be moving close to me right after Christmas so we’ll be celebrating all the holidays together after the New Year. Would LOVE to have some specially designed/wrapped presents for them when they arrive. Generous Offer! I will be purchasing your gift wrap for my holiday gifts, and winter birthdays as well. I would love to win!! Thank you!! oh, that would be a great christmas gift! Amazing. Would love to try this! I’ve always wanted to design my own wrapping paper – I hope you start offering this all year round! It would be great to win some custom wrapping paper. Oh my goodness! I’d love to win some custom gift wrap! My user name is cuterbythestitch Thanks! Oh this is very exciting! Please do consider making it a regular item, not just for the holidays! I would love to win this! So exciting! I have so much difficulty finding appropriate giftwrap… this will be a huge boon! How cool is this?! Would love to win. What will you think of next? First repositionable wallpaper and decals, and now wrapping paper!! Hooray – so many art projects (and presents to wrap), so little time. Cheers! Sounds like an amazing idea! Would love a free roll to test drive…user rachelmachesky. Thanks! Spoonflower sharing the holiday spirit! I’d love some wrapping paper. This is such a great idea. I will be ordering some for sure! Wrapping paper!? How great is that?! How fun!! I love custom wrapping paper. I usually make my own but this would save me a ton of time! I love this! I already know exactly which print I would choose if I won a free roll!!! Wrapping paper!!!! It seems like every week there’s new exciting things at Spoonflower!! Great news!!! I love the idea of my seamless pattern designs on wrapping paper! Thank you so much, Spoonflower!!! Oooh…I could have Cookies for Santa paper! Fingers crossed! Lovey dovey, cutie patootie paper! I’ve been wishing for just such a thing for years; I join others in hoping this will become a permanent item. This is soooooo cool! Thanks for the chance!! Fantastic idea! Can’t believe Christmas is coming so fast. This is great! I would love to win. I can think of so many possibilities!!! I would love to have some of this beautiful giftwrap! This is a fantastic idea! We all love your fabric how can we not like your wrapping paper! Love the wrapping paper idea. What a brilliant idea. Please pick me! Username acpostscript. happy happy joy joy! Please pick me!! love this! hoping it’s not a limited edition product, but will be available as a year round “base”? I’ve used your material as gift wrapping, so I’m very excited by this idea. I hope it is very successful and it is something you make available all year round. Special wrapping paper would make any gift extra meaningful. Great idea! (and thank you for not limiting this to Facebook, which I will never use). I didn’t think anything could be better than customized fabric…I was wrong! 🙂 I’ve got dozens of presents I could wrap with this stuff! awesome! how cool would it be to make something with a certain fabric as a gift and then wrap it with the same or a corresponding printed wrapping paper? Oooh, what a great idea turning gorgeous fabric designs into gift wrap! Love the gift wrap! What’s next? – Wallpaper? I would love to win your wrapping paper! Gift wrap? I am ALL ABOUT GIFT WRAP! Feel so bad hoping the rest of you don’t win but, pick me, Spoonflower, and we will all get over it. So many beautiful designs you have all come up with. I really hope to start the new year with some designs of my own. I hope you pick me! But if you don’t how long will you be selling this product? Happy Happy, Joy Joy, I love wrapping paper almost as much as I love fabric! wrapping paper?!?!! I CAN’T wait!! I’m a gift wrap junkie! This makes me very very happy! What a fun contest! I love this! I would be the only one who has such nice wrapping paper for Xmas! Stunning! OMG OMG is what I was looking insanely!!! Thanks a lot! I love this ! thank you for the idea ! This is a lovely new product! I’m adriprints on Spoonflower. I would love to try out your paper. Your material is awesome! Great Idea. How about wrapping paper for the kids with their pictures on it! Can’t wait to try designing my own! What an awesome idea! I would love to win. I would love to have a unique and personalized gift paper ! What a fantastic idea! I love it. This is an excellent idea. I cannot wait to customize the gift wrapping and choose from the other incredible designs. Thank you, Spoonflower! I love this idea and some of these prints! Wrapping is one of my favorite things to do in the holiday season! Every obsessive crafter wrappers dream come true! Fingers crossed! Love the gift wrap idea — this would be a big hit! I would love to win! Love gift wrap! Username is “sorry_you’re_happy_jen”. Love this! I’d love this to become a permanent fixture here on Spoonflower….maybe at a 9.99 or less price point 😉 I have found the perfect use for it in my business. This would be a great way to wrap presents!!! Hopefully it goes over well and you can keep it year round for birthdays, showers, or just because gifts. Spoonflower user name is tishxu’s_palace. I am totally jazzed about some funky gift wrap! My Spoonflower name is inoracam. I would love some gift wrap! I would love to receive it to wrap my handmade gifts! we’re on huge crise in Portugal! Oh, gift wrap! Can’t ever have enough. Giftwrap! So delighted you’re doing this. I’d love to win a roll of paper, it might motivate me to get on all of that Christmas shopping just so I could wrap them! My user name (new!) is misaacmom. Going to check out the rest of the site now. I would love this. It would certainly beat decorating yards and yards of gift wrap by hand. Takes ages. Fantastic idea. Wow I LOVE these! Would love to win! 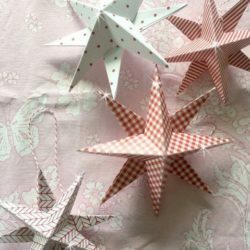 It would be fantastic to throw away all the old paper and star fresh! Clever idea–and fabric patterns lend themselves so well to wrapping paper 🙂 I like that you could, at least in theory, sew something for a gift recipient from a printed fabric and then wrap it in matching paper! I’m oraxia in spoonflower, too 🙂 Thanks for the chance to win! What a great idea! If we don’t win, is there a way to purchase it? Hi, Jenatarleton! You can indeed purchase gift wrap on the site for the time being. 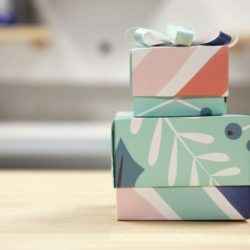 Just click on a design you'd like to see printed as gift wrap from your own design library or from the Spoonflower marketplace and look for the gift wrap option to the right of the design preview window. Oh, I wonder which designs are just waiting to become gift wraps? I would love to win some giftwrap, but more importantly, I would like to BUY SOME GIFTWRAP!!! Like 5-6 rolls…….I have emailed you and would like to know how to buy it?!!! It’s GREAT!!!! Please help! Hi, Graymaher! To buy gift wrap, just click on a design from the Spoonflower marketplace or from your own design library and look for the "Special Holiday Item" section to the lower right of the design preview window. You'll be able to add gift wrap rolls to your cart there. Hope this helps! Aw! Is this giveaway closed now?! Fantastic giveaway! Spoonflower Username, Karaskye. I am excited for your next giveaway. I want to win because of the limited edition gift wrappers.